At Suter Brook Dental Group in Port Moody, we recommend brushing your teeth with fluoride toothpaste for at least three minutes and at least twice a day as part of a healthy oral health care routine, but did you know you can also use toothpaste around the house? 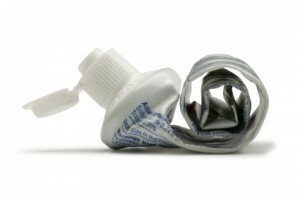 Many swimmers swear by toothpaste for keeping their goggles free of fod. Simply wipe it on, clean it off and enjoy a fog-free view. However, don’t forget toothpaste’s most important role! Brush twice daily, floss regularly and visit Suter Brook Dental Group in Port Moody for a fantastically healthy smile you’ll be proud to show off!